Vedic Farmacy - Diabetic Food International Pvt. 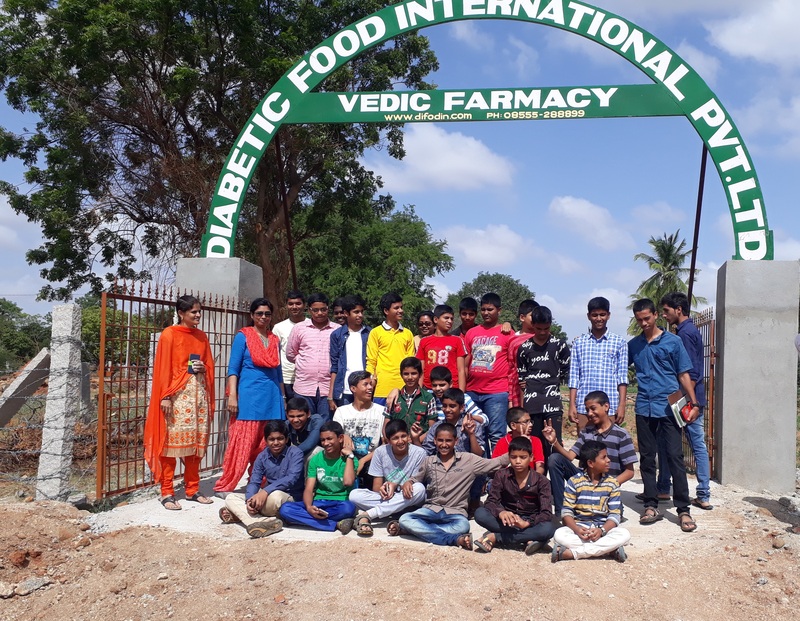 ltd.
Vedic Farmacy - the agricultural model farm of Diabetic Food International Pvt. Ltd, is a model farm which has been established with the aim of promoting Natural Farming Methods - namely zero budget and Chemical free farming the vedic way. Vedic agriculture is based in 100% natural organic materials. Vedic agriculture is based in 100% natural, organic materials and on a self-sufficient module. It is an urgent need in the current world situation because most food produced today is heavily loaded with pesticides, hormones and other chemicals that are heavily toxic to humans and nature. On top of that, preservatives and other chemicals added to food sold in stores which make store-bought food even more toxic. Zero Budget Natural Farming, as the name implies, is a method of farming where the cost of growing and harvesting plants is zero. This means that farmers need not purchase fertilizers and pesticides in order to ensure the healthy growth of crops. The difference between Natural Farming Methods and Organic farming methods is that in Organic farming, certain organic fertilizers are used, whereas Natural Farming is sustainable farming. Natural Farming makes all inputs from natural materials, observes the law of the Nature and respects the rights of crops. Natural Farming heals the soil slashed by chemicals, herbicide and machines there is minimal intervention and the crop is grown using only natural methods and nature's products such as cow based fertilizers for the nourishment of the soil. To revive millet farming as millets are miracle grains with huge potential to avert diabetes and other lifestyle diseases.